Are you thinking of ways to brighten up your living room, kitchen, or bedroom? You can enjoy a brighter room without having to install a light fixture, and that’s through replacement windows. This is definitely the best window style if you want sunshine into your home. 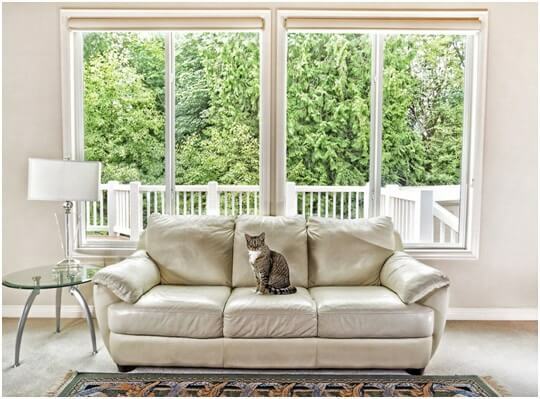 Picture windows are equipped with bigger and wider glass. These windows also usually don’t have grilles and muntins that block natural light. In addition, you will have a panoramic view of your surroundings because of the bigger glass area. These two window styles are a combination of three (bay) to six (bow) windows. This means that these also have bigger glass panes, which will allow a greater amount of sunshine to enter your home. Although casement windows are usually smaller than picture windows, these can also allow sufficient amount of natural light into your home. This style does not also have grilles and muntins that can obstruct light. This window style is one of the most popular today, due to its timeless beauty and the ventilation it can provide. Nevertheless, most people love it because it has a fairly big glass area, which can provide a view and allow more light to enter your home. If you’re looking to brighten up your home, be sure to consult Kroll Construction. We offer a wide array of windows in Detroit that can brighten up even the gloomiest room in your house. We also provide quality window products and services in Livonia, Westland, Dearborn, Dearborn Heights, and Garden City. To get a FREE in-home consultation and estimate on your planned window replacement project, just fill out our quote request form. You can also give us a call if you want to know more about our products and services. Choose Kroll Construction for all your replacement window needs today!